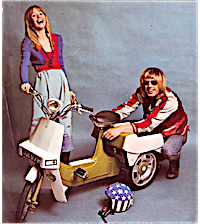 Never fear for we are not alone in our pursuit of mopeds! 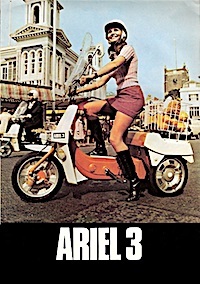 There are some cracking clubs out there some are for specific makes of bikes (just like this site is for the BSA Ariel 3) others are more generalist in nature. 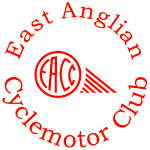 The EACC is one of the UK’s leading club for cyclemotor, autocycle and moped enthusiasts. The club is run for the mutual benefit of all its members. Pages of useful articles and advice on registrations and V5’s, I would recommend this club to everyone. National Autocycle and Cyclemotor Club Ltd. 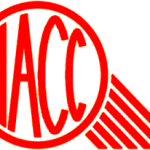 The National Autocycle and Cyclemotor Club (NACC) is one of the largest club in the UK for enthusiasts of cyclemotors, autocycles, mopeds and small capacity motorcycles. The club has members all over the British Isles, with some 30 active local sections, plus we have many members overseas throughout the world.